The newest member of MLS will add ten players on Friday as the league will hold an expansion draft for Toronto FC at 1pm. There are already some interesting rumors flying around ahead of the draft where 10 teams will lose one player. The most interesting rumor has FC Dallas trading right sided midfielder Ronnie O'Brien to Toronto for an allocation and an agreement that Toronto will not select an FC Dallas player. Although, looking at FC Dallas' unprotected list, I'm not sure that is really needed. My postseason awards predictions weren't that great, but I'm going to throw out some expansion draft predictions. The first two predictions are no-brainers. The 2006 MLS Cup champs have opted to leave one of their three Canadians unprotected in defensive midfielder/central defender Adrian Serioux. I would be stunned if Toronto FC did not select Serioux unless there was a side deal done to prevent that from happening. Real Salt Lake's Andy Williams was born in Toronto. Given that Toronto FC needs to load up on home grown talent, I would again be surprised if Williams wasn't selected by Toronto FC. Although, I'm not as sure about this pick as I am of the Serioux move. Although, looking at the Real Salt Lake unprotected list, I'm not really sure where else they would go. For instance, I can't see them going after Jason Kreis. So, we have two players selected and if the O'Brien rumor is true, then there are three teams that are off the list. 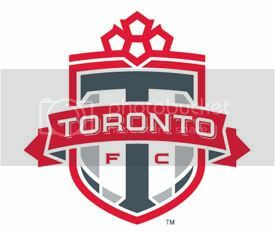 The next order of business may be acquiring trade assets should Toronto FC indeed try and make a run after Dwayne De Rosario. If that is the direction that Toronto FC wants to go, I would expect a player like Nate Jaqua of the Chicago Fire to be a player that Toronto FC would want to add on Friday. DC United is another squad with a deep unprotected list. Jeff Carroll could be a trade bait worthy selection. Although, Nick Rimando could be a player that might get some interest from Toronto FC in the event that it looks like they can't land Greg Sutton this offseason and they need to think about trying to acquire Pat Onstad from Houston. But for now, Carroll is my pick. The LA Galaxy is another team that has a couple of intriguing young midfielders that are unprotected. Memo Gonzalez has been in MLS for four seasons, but has only seen action in 12 games. Former Columbus Crew midfielder Kyle Martino was also left unprotected by the Galaxy. I'll have to go with the guy that has done more in MLS and say that Martino is the pick. Although, Martino is currently on trial with NEC Nijmegen in Holland and that could complicate matters. The Kansas City Wizards list of unprotected players had a couple of interesting names on it. Starting goalkeeper Bo Oshoniyi and mid-season Dutch import Dave van den Bergh were both left unprotected by the Wizards. My gut tells me that van den Bergh will be the pick. Although, Oshoniyi makes sense if the "Pick and flip for Onstad" scenario unfolds. The New England Revolution are another team with a deep list of unprotected players. With the likes of Daniel Hernandez, Avery John, Joey Franchino, and Jeff Larentowicz sitting out there, Toronto FC could go in a multitude of directions. But given his unrest with a lack of playing time with the Revolution, I would not be surprised if Jose Cancela was Toronto FC's choice. Mo Johnston will know the NY Red Bulls players better than any other group out there given he was their coach to start the 2006 season. There are big names available with Tony Meola being left unprotected. However, I could see Toronto FC going after the much more affordable Danny O'Rourke whom NY picked up from Houston in a cost cutting move with Adrian Serioux heading to Texas. Perhaps the Dynamo would want O'Rourke back with Serioux headed to Toronto? The most notable name on Chivas USA's list of unprotected players is USMNT midfielder John O'Brien. O'Brien only played in 5 minutes of MLS action this season and who knows what his future holds in MLS. But, if he leaves MLS for Europe, this could land Toronto FC an allocation. With only Colorado and Columbus remaining and one last player to be chosen, I'd love to say that Clint Mathis would be Toronto FC's choice. But, there is no way that will happen. Since Toronto FC has already added one MLS nomad in Andy Williams, I'll close this out by saying that Toronto FC will pick up another well traveled veteran of MLS in Ezra Hendrickson from Columbus. Toronto FC would be the seventh different MLS team in the careers of both Williams and Hendrickson. Peter Vermes, a former KC Wizards defender and a member of the 1990 US World Cup team, has been named as the team's technical director. This is the first move by the new owners of the Wizards to shake up the soccer side of the business. It will be interesting to see how this move affects the future of Rochester native Brian Bliss who ended the year as the Wizards interim head coach. Wizards defender Jimmy Conrad was on Kick This! this past Saturday and he seemed to indicate that Bliss may get dismissed by the new regime merely because he was from the Hunt Sports Group regime. Also of note is the fact that USMNT forward Eddie Johnson is about to go and train with Reading of the English Premier League. The new Wizards owner blocked a potential loan with an option to buy deal that would have made Johnson the first player in Spain's La Liga just after the ownership change took place. It will be interesting to see if the Wizards will allow Johnson to move when the transfer window opens back up in January should his time in Reading go well.